First blog post. What better way to start out a blog than with the beautiful subject of holiday baking? While I absolutely adore any excuse for baking, Christmas provides the perfect opportunity for making an incredible surplus of baked goods and distributing them to family, friends, and basically anyone nearby. After finishing my last, 13 page history final, I was in need of some serious baking therapy. I headed to Giant Eagle, and, to my own great happiness, found Betty Crocker cake mixes on sale. 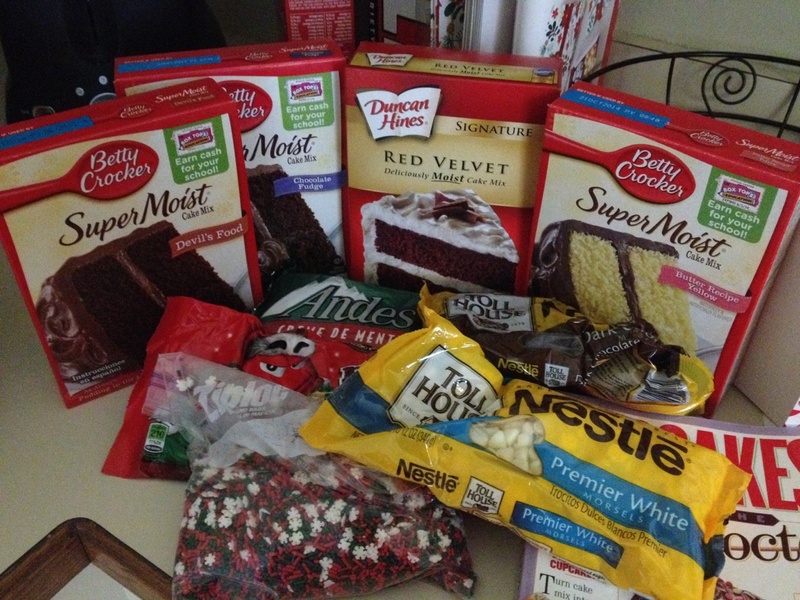 Naturally, I bought five boxes of cake mix because I needed to make the most of the sale. I then headed to the candy aisle, where I found m&m’s, dark chocolate and white chocolate chips, and Andes mint baking chips. I got all of the supplies for my chocolate buttercream frosting, and ventured home eager to begin my cupcake and cookie preparations. I started out with the famous cookie dough cupcakes, which my boyfriend loves so much. These simple cupcakes come from Anne Byrn’s Cupcakes From the Cake Mix Doctor and are truly one of the greatest recipes I’ve made. I topped them with a nice chocolate buttercream and some festive Christmas sprinkles. Next up came the cookies, made from the boxes of cake mix, two eggs, and 1/3 cup vegetable oil. They are super easy and taste delicious. I randomly mixed combinations of m&m’s, chocolate chips, Andes’ baking chips, and sprinkles into the dough and popped them into the oven for ten minutes. Voila! The cookies are super tasty, and even more satisfying because they’re just so easy. 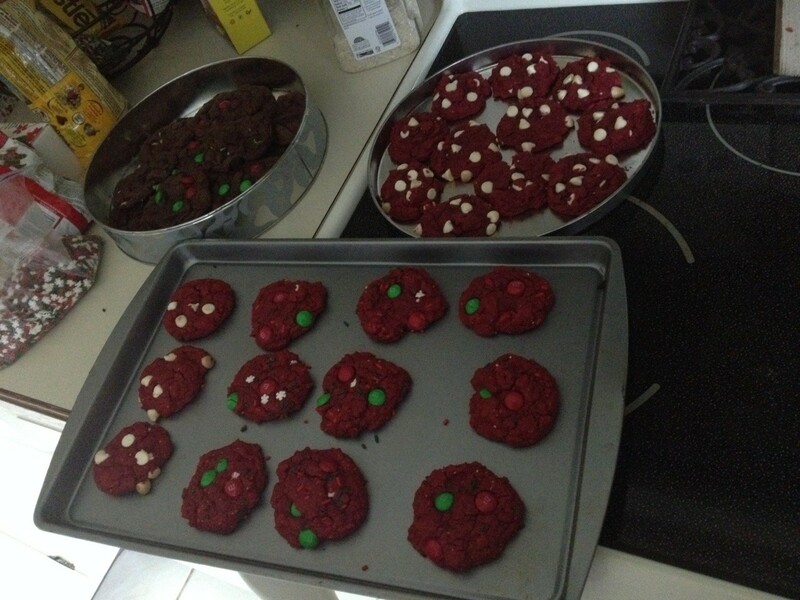 After distributing my cupcakes to neighbors, cousins, and friends, I now must start passing out all of these cookies. As much as I would love to keep them all in the house, I think four boxes worth of cookies may be a little ambitious to take on alone. The Best Cake Mix Cookies Ever.